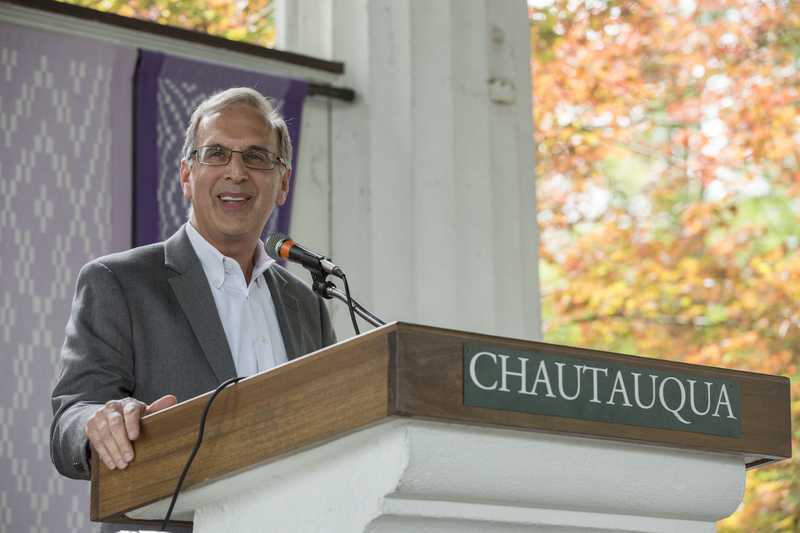 Rabbi Sid was a featured speaker in July 2017 at the Chautauqua Institution in upstate New York. He was part of a week examining the changing face of American religion called “Crisis of Faith”. 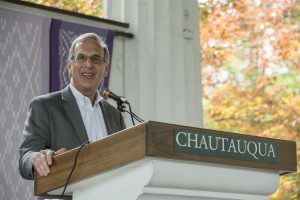 Rabbi Sid Schwarz has been a congregational rabbi, a social entrepreneur, the CEO of several non-profits and an author. Rabbi Sid is currently a Senior Fellow at Hazon. As part of that work, Rabbi Sid has direct responsibility for three national projects. He created and directs the Clergy Leadership Incubator (CLI), a program that trains rabbis to be visionary spiritual leaders. He also created and directs the Kenissa: Communities of Meaning Network which is building the capacity of emerging spiritual communities across the country. 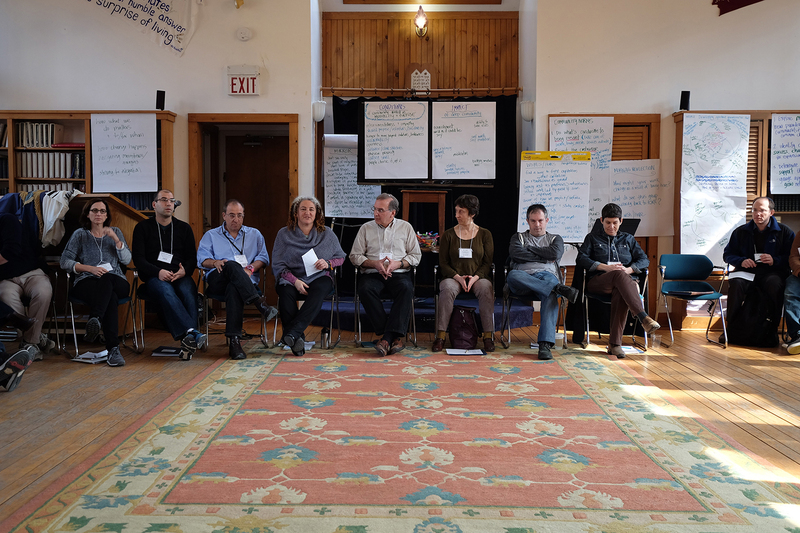 Rabbi Sid also leads annual inter-denominational retreats for rabbinical students allowing them to explore new models of spiritual community and alternate ways to construct their rabbinates. Eleven seminaries co-sponsor these retreats. 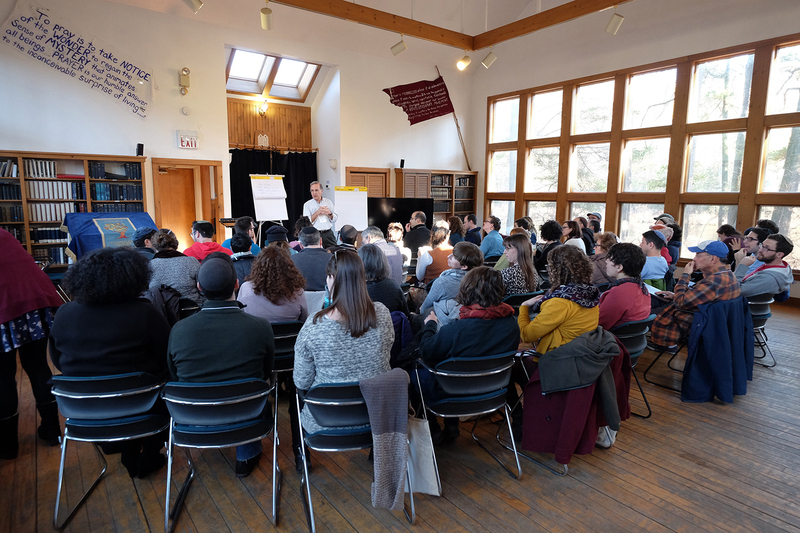 Rabbi Sid founded and led PANIM: The Institute for Jewish Leadership and Values for 21 years, an organization that was dedicated to inspiring, training and empowering Jewish youth to a life of leadership, activism and service. Dr. Schwarz previously served as the executive director of the Jewish Community Council of Greater Washington D.C. where he oversaw the public affairs and community relations work for the Jewish community. He is the founding rabbi of Adat Shalom Reconstructionist Congregation in Bethesda, MD where he continues to teach and lead services. For close to a decade Sid was a senior fellow at Clal: The National Jewish Center for Learning and Leadership, a platform that he used to advance his national work with the Jewish community. He is also deeply involved in interfaith work with a particular emphasis on co-existence efforts in the Middle East. He was the founding chairman of the Greater Washington Forum on Israeli-Arab Issues, the first community affiliate of the international effort called the Inter-Agency Task Force on Israeli-Arab Issues housed at the Joint Distribution Committee. In 2012 Sid helped to launch the René Cassin Fellowship Program, a year-long fellowship program for young professionals, ages 25-35, focusing on Judaism and human rights with hubs in New York, London and Jerusalem. The program was funded by the Commission on the Jewish People of the New York UJA Federation. Dr. Schwarz holds a Ph.D. in Jewish history and is the author of more than 100 articles and three groundbreaking books, Finding a Spiritual Home: How a New Generation of Jews Can Transform the American Synagogue (Jewish Lights, 2000), Judaism and Justice: The Jewish Passion to Repair the World (Jewish Lights, 2006), and Jewish Megatrends: Charting the Course of the American Jewish Future (Jewish Lights, 2013). “As he did in his masterful first book, Finding a Spiritual Home, Rabbi Schwarz opens a window into some of the most creative activity taking place in American Jewish life today. In Judaism and Justice Rabbi Schwarz brings to bear his own decades of experience as both a leader in the Jewish community relations field and a Jewish educator par excellence to demonstrate why a passion for social justice is critical to ensure the very ‘continuity’ that the community so ardently seeks.” Dr. David Gordis, president emeritus of Hebrew College, Boston, wrote: “Judaism and Justice provides a long awaited prophetic vision for the nexus between Jewish tradition and culture and a commitment to social justice”. In 2002 Sid was awarded the prestigious Covenant Award for his pioneering work in the field of Jewish education. 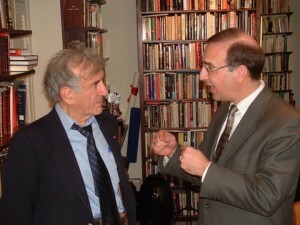 In 2007 Sid was named by Newsweek one of the 50 most influential rabbis in North America.